This bulldog sign is 30″ by 48″. 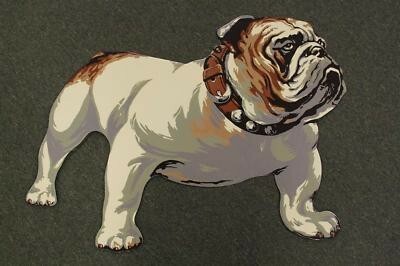 The sign is for Mack Trucks and the bulldog is a very detailed illustration. This is a great piece to add to your collection.